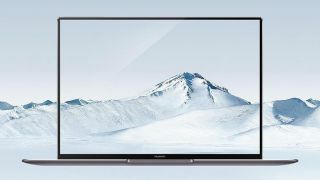 Announced back in February, Huawei's excellent MateBook X Pro made waves by offering productivity-focused individuals a sleek Windows 10-powered alternative to Apple's MacBook Pro, as well as a worthy competitor to Dell’s impressive XPS 13 ultrabook. Described as the "best laptop of 2018" in our five-star review, Huawei's MateBook X Pro is finally coming to Australia, with the ultrabook announced for release at the Australian launch of Huawei's Mate 20 phone range in Sydney last night. Available in Australia from November 22, the Huawei MateBook X Pro boasts a stunning 13.9-inch 3K (3,000 x 2,000) LED touch display with a tiny 4.4mm bezel surrounding it, giving it a 91% screen-to-body ratio. That display is housed within a lightweight (1.33kg) and super-slim (14.6mm) metallic body with diamond cut edges. It also sports a One Touch power button with fingerprint scanning functionality and a pop-up camera that's hidden in the F6 key. Prospective MateBook X Pro buyers will be able to choose from 8th-gen Intel Core i5-8250U and i7-8550U processor options, with 8GB or 16GB of LPDDR3 RAM, and either 256GB or 512GB of SSD storage. While local pricing has yet to be announced for Huawei's MateBook X Pro, Microsoft representatives at the event told us that the ultrabook would be coming soon to its Australian retail and online stores.